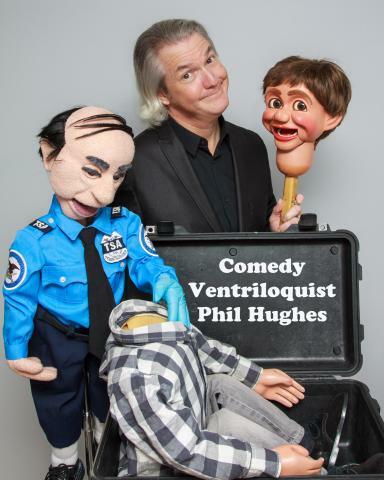 Phil Hughes began ventriloquism at the age of six, and began his professional career in 1985. HIs 33 years as an entertainer, has taken him to all seven continents, and over 70 countries. He has performed for corporations such as PPG, and Bayer, comedy clubs, and universities, and on cruise lines all over the world. He also appeared as the featured specialty act in La Femme Magique, and Speakeasy, and was featured on the Showboat Branson Belle, in Branson MO, in a show that was awarded Branson’s Matinee of the Year.